Alan Casavant greets voters outside Tiger Gymnasium at Biddeford High School on Tuesday. Casavant won a fourth term as the city's mayor in the election, easily outdistancing a number of write-in opponents. Alan Casavant will continue to serve as Biddeford’s mayor after cruising to victory over two declared write-in opponents and an undeclared write-in candidate in Tuesday’s municipal election. Casavant received 3,497 votes and turned back write-in challenges from Jason Litalien and Karl R. Reed Jr. who combined to receive 372 write-in votes, and last-day undeclared write-in candidate Bob LaRose, who received no official votes because he did not declare to run officially with the city. A total of 523 ballots were returned blank in the mayor’s race. A retired high school history teacher, Casavant has served as Biddeford mayor since 2011. During his time as mayor, Casavant has focused on the city’s continued economic development, which was boosted significantly following the city’s purchase of the Maine Energy Recovery Co. in 2012. He’s also been a staunch advocate for beautifying the city’s downtown mill district, which is a region of the city that’s experienced rapid growth recently. 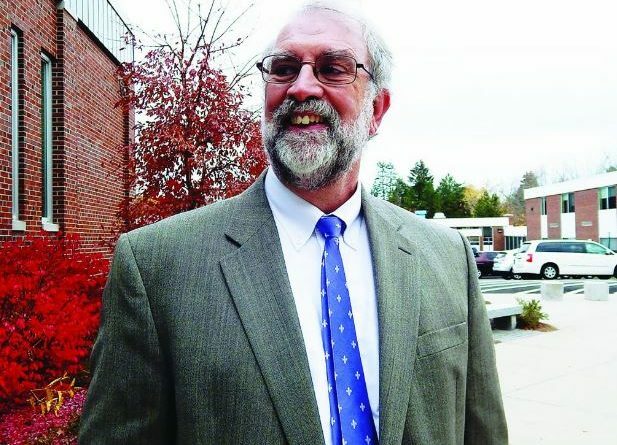 Along with teaching U.S. history, Casavant also taught global studies, American studies and psychology at Biddeford High School, retiring before running for his first term as mayor in 2011. He’s also served as a state representative and a Biddeford city councilor and was the council president during the 1980s. Incumbent Biddeford City Councilors Michael Ready (Ward 7), Marc Lessard (At-Large) Stephen St. Cyr (Ward 3), Norman Belanger (Ward 6), Robert Quattrone (Ward 4), Victoria Foley (Ward 5) and Laura Seaver (At-Large) were re-elected Tuesday after running unopposed. In contested races for Biddeford City Council, Ward 1 incumbent Michael Swanton received 368 votes to defeat challenger Kathleen Russell who received 244 votes. Biddeford City Council President John McCurry Jr. received 243 votes to defeat William ‘Bil’ Moriarty (162 votes) for the Ward 2 seat. Seven individuals were chosen by voters to serve on the Biddeford School Committee. Running unopposed in the election were Dennis Anglea, Vassie Fowler, Anthony Michaud, Dominic Deschambault and Karen Ruel. In Ward 3, incumbents Lisa Vadnais (3,041 votes) and Crystal Blais (2,637 votes) turned back a challenge from newcomer Jerry Tremblay (2,489 votes) to return to seats on the School Committee. Biddeford City Clerk Carmen Morris said that 4,393 voters cast ballots in the election Tuesday out of 14,208 registered voters in the city. That amounts to a 31 percent turnout. Correction: A previous headline on this story incorrectly stated the number of terms Casavant has served as mayor.